A life buoy is a personal floatation device that is thrown to someone to keep them from drowning. In an emergency such as that the buoy would need to be easily accessible. 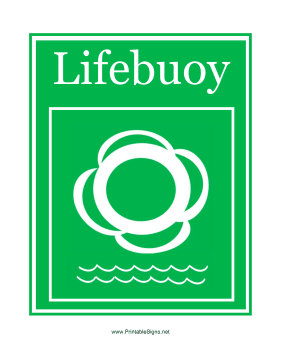 Print this sign featuring the signature Kisby ring so that you always know where the lifebuoys are stored.